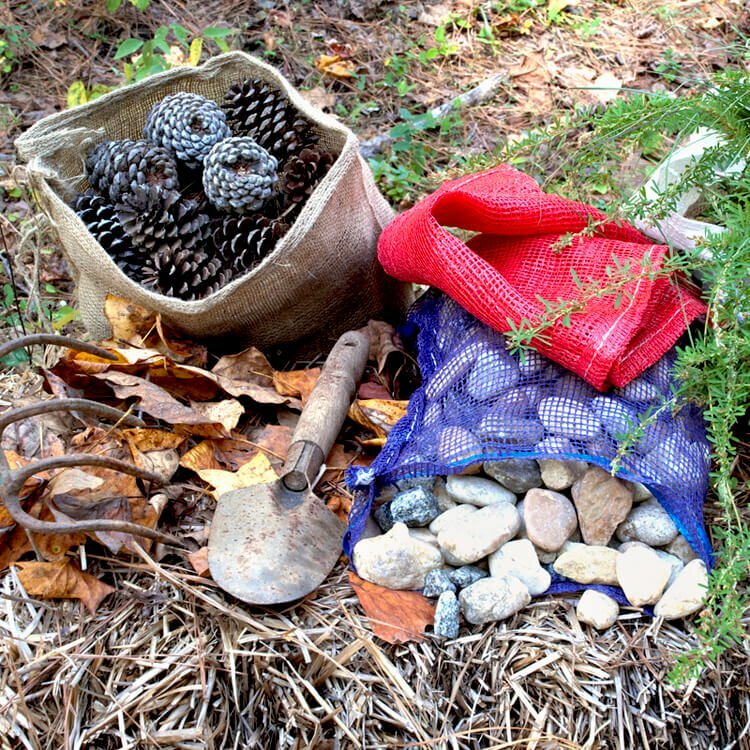 Weighted bags have many practical uses around the home and outdoors. Weather it be weighing down the bed of a truck or keeping a floating dock from drifting away, making your own weighted bag can be a cheap alternative to buying one in the store. There are many different types of bags that one can use, each uniquely suited for the project they are being used for. The Bulk Bag (FIBC) is a great option for someone looking for a seriously heavy weighted bag. This bag is rated to hold up to 2,750 pounds of weight. It is made of polypropylene and will not break down easily, however, it is recommended that the bag is covered if it is being used in areas that are exposed to bright sunlight. This bag would be suitable for any material with grains larger than sand due to its tight weave. It would be best for projects that need significant weight in one pinpointed area. The next bag on the list is a mesh polypropylene bag. This particular bag is rated to hold weight up to 50 pounds but comes in a few different sizes, all rated for different weights. This bag is made of plastic fibers that will not break down easily. The weave of the polypropylene material would be better suited for filling with a material that is larger than a marble. It may smell strongly of plastic for a while so it would be best used for outdoor application or in an area that is well ventilated. Woven polypropylene bags are made with the same material but have a tighter weave that’s good for filling with materials that are larger than a grain of sand. This bag can hold up to 80 pounds and is highly durable. This would be a great bag for a project that will regularly be exposed to the elements, however, it should be covered if it’s being exposed to direct sunlight. Lastly, a burlap bag is an eco-friendly and more natural looking alternative to the plastic-based bags. This bag can be filled with any material larger than a grain of corn. Burlap sand bags have a finer weave that will hold smaller materials. While they are not tested by the manufacturer for weight, in an unscientific test I was able to put 115 pounds into a bag before I ran out of weight. However, I would not recommend putting this much weight into the bag as it was pretty close to its max and could give out if left hanging for a long period of time. This bag is a great option for outdoor application as it is biodegradable and has a more natural look. See our Burlap Bags Product Guide for more information and other uses for these bags. Note that most of these bags come with the option of having a drawstring closure or not so look in the details section to make sure it is the right type of bag for your project. No matter the application, one of these bags will likely work for your weighted bag project. If not, there are plenty of materials such as jute and burlap, tarp vinyl , vinyl coated polyester, PVC-coated polyester, canvas, or nylon with which you can make your own custom weighted bag. Ask a question or leave a comment in the Q&A section below. Looking for other utility fabric? Find it all here.